Is Survey Junkie A Legitimate Way To Make Money Online? I’m always looking for new legitimate ways to make money from home. But bear in mind – legitimate is the key word here. As someone who’s got a ton of experience with finding alternative forms of income, I’m also pretty savvy when it comes to spotting online scams. If you’re on this site then you’re likely also interested in saving money and making money in honest ways. And you’ve probably heard about taking paid surveys, because they’re pretty much the most popular way to earn extra cash for your couch. So what’s my opinion on panels? If you can find an honest one and you set realistic expectations, then online surveys can actually be an awesome way to earn money from home. The first thing I do when looking for a good survey site is to check out what members are saying about them. When I found out about Survey Junkie, I decided to look them up on Trust Pilot so that I could get a good idea of whether or not they were legitimate. I was happy to see that they’re the highest rated survey panel on the site, and that members were reporting positive notes that I look for when reaching out to a survey site. So I checked out the site for myself. Here’s what I found. Here’s the good news. 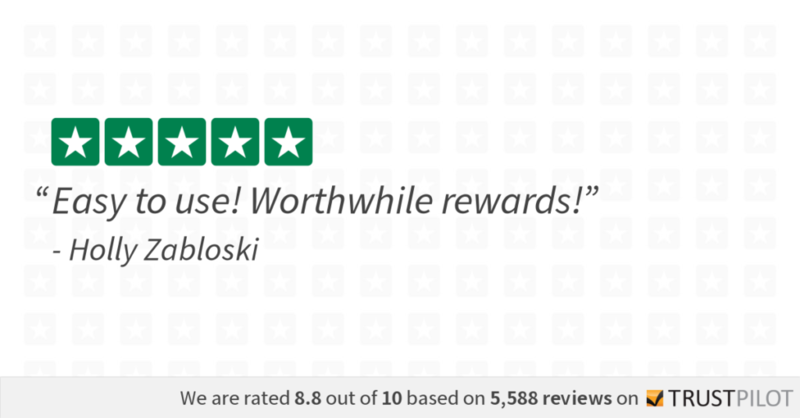 The member reviews are accurate – taking surveys with Survey Junkie is definitely legitimate. Let me share a little bit about my own experience so you can decide whether you want to join it too. It was 100% free to join the site, which was my first indicator that they weren’t trying to mess with me. All I had to do was input my email (you can choose Facebook or Google too), and then I was ready to go. Plus they gave me 25 points for signing up… I’ll take it! After that, I filled out my general profile. This series of questions basically just asked me about my interests and lifestyle, so they could match me with surveys that I a) was likely to qualify for and b) was probably interested in completing. 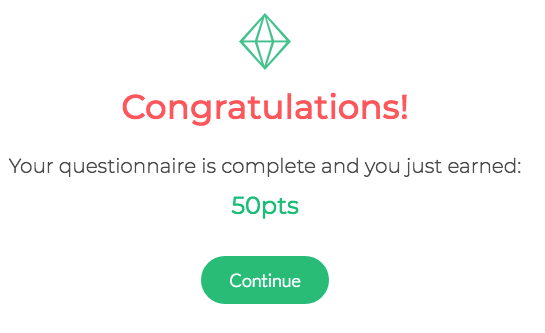 And I got another 50 points to complete that questionnaire. Just by signing up and answering those questions, I was already almost a tenth of the way to redeeming my rewards. Survey Junkie makes it super simple to track how much you’ve earned, which is one of the reasons members say it’s easy to use. I found that most of the surveys they matched me with were interesting and did indeed relate to my life, so I was able to make a genuine difference when sharing my opinion. No real snoozers here. Each of these surveys is marked with a points value and an estimated time it will take complete, which mean I could weigh the pros and cons of investing my time in one. And when I didn’t qualify for an entire survey, they still gave me a few points for my effort. I haven’t come across that much with other panels. The most popular question when it comes to survey panels is: what can I actually earn when I sign up for this site? Taking surveys online can actually be a lot of fun, but let’s be real here. No one wants to waste their time answering questions for companies only to find out that they’re not actually going to receive any cash at the finish line. With Survey Junkie, you will definitely earn money when you take their surveys. They have a super low payout threshold, so once you reach 1,000 points ($10), you’re eligible to redeem. 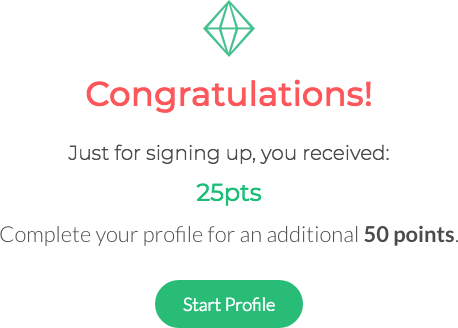 And remember, just by signing up and filling out the general profile, you will already have made 75 points without even taking any surveys. If you just want free money that you can use however you want, choose their PayPal option. You can also get e-Gift cards to major retailers like Amazon, Target, Starbucks, Walmart, and more. Survey Junkie sends your rewards immediately, so you don’t have to wait around for weeks wondering if you wasted your time. And there’s no fee to redeem your points. Overall, my Survey Junkie experience has definitely aligned with what other members say who are giving the site such a high rating on Trust Pilot. Not all of the surveys were interesting and some of them can take up to 30 minutes to complete, but for the most part I’ve actually really enjoyed answering these questions and have found it an easy way to make money from my couch.